Small but powerful survey of the American artist's late figurative paintings. In Head and Bottle, 1975 (pictured) a bulb, suspended by a looped cable, casts its sickly glow over a green wine bottle lying on its side in a pool of red paint. 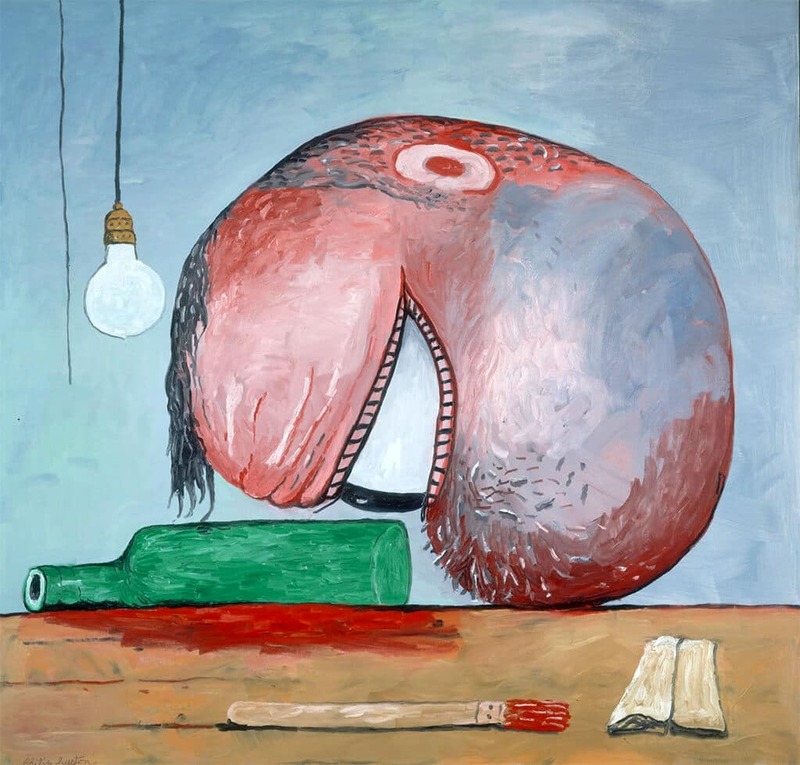 The artist is “interrogating” his subject, his massive Cyclopian eye almost grazing the bottle’s surface. How to capture the bottle’s essence, he might be wondering, for the bottle is a formal problem to be solved. 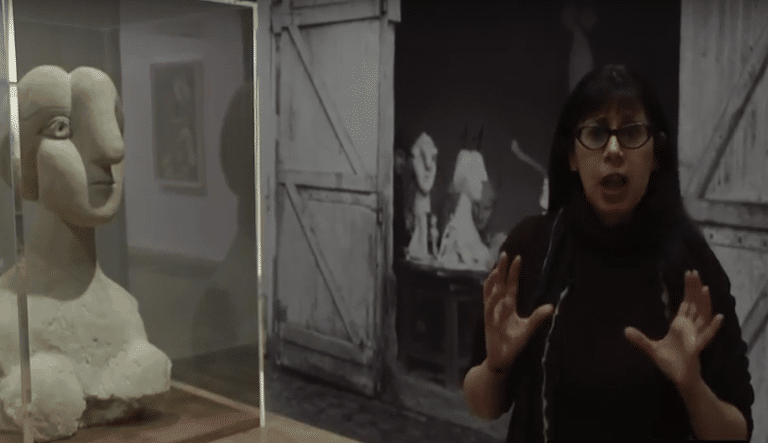 But we also sense that the artist depends on the bottle to solve other problems too. He is a head, and only a head – albeit a head that partly resembles a bruised testicle – and what are heads for but for solving things, even if the solution to be found is in the act of obliterating thought by taking to the bottle. 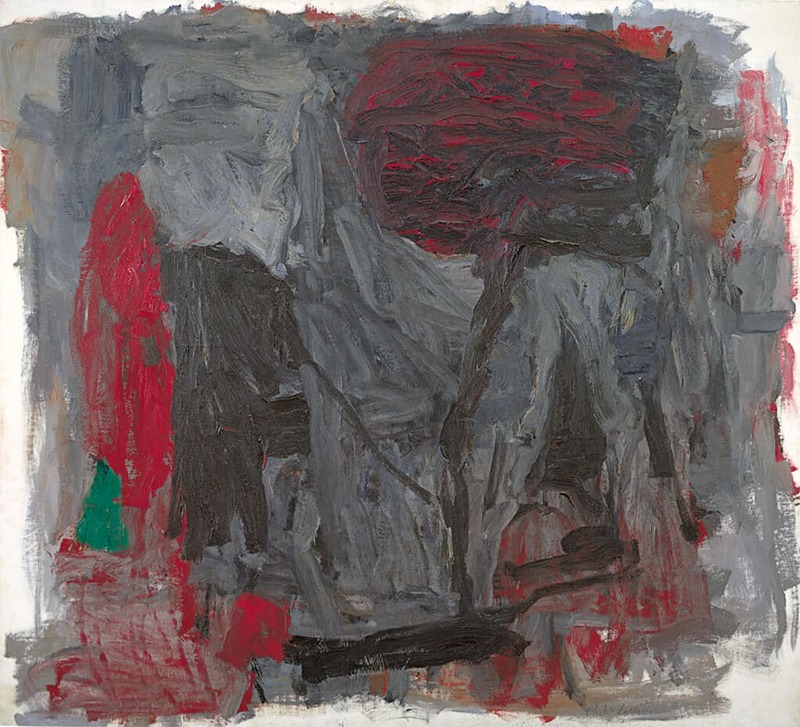 The painting which kicks off this exhibition is the large-scale Traveller III (pictured), a densely brooding mass of greys ignited by passages of red and a single lozenge of green nestling in a corner (already we see that colour scheme in place; Guston’s early abstracts are also infused with reds and pinks). The dominating shape rising up through this morass of greys could be a tornado. It could be a mushroom cloud. There’s a lot of compressed energy in those brushstrokes, but the painting feels inert. You spot inchoate Klansmen. So what ghosts and inner conflicts plagued him? When he painted the soles of shoes – the stacked piles of shoes that we find in many of his large-scale works, and the single crumpled pair we find here in a smaller study – we imagine the burden of confronting and memorialising the Holocaust as one who was Jewish, and the anti-Semitism and the racism he felt to his bones growing up in Los Angeles in the 1920s. His Klansmen hark back to that period, to the second wave of Ku Klux Klan activity. Born to Ukrainian-Jewish émigré parents the family name was actually Goldstein. We know that when he was 10 or 11 he found his father’s body after he’d hanged himself. That light bulb isn’t just a light bulb. This review first appeared in The Arts Desk on 21 June, 2015.